Rent a tent package for up to 50 guests! 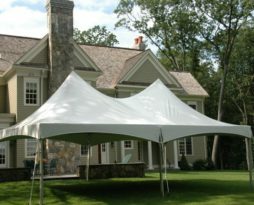 This tent rental package can be for 50 guests for a seated for a meal with this backyard tent package. Were not the cheapest around, but we use pristine high peak frame tents that are gorgeous. We do not cut short any safety precautions. This backyard party tent table and chair party package will be the foundation to hosting your northwest western Chicago graduation backyard home or business event. It comes with all the basics to get you started in hosting a sucessfull home party. This package is not customizeable, please defer to adding individual items on our site into your own package if youd like to change rental items needed. This package is used for tent graduation parties, small gatherings, sporting events, card games, backyard barbeques, wedding and baby showers. We charge Delivery and Pickup separately depending on setup surface and location. We tend to install all weekend tents on Thursday and Friday with pickup on Mondays. Delivery to the following locations generally runs $78: St Charles, Geneva, Batavia, North Aurora, West Chicago, Wayne, South Elgin, Carol Stream, Bartlett, and Elgin. Rent a tent package for up to 65 guests! 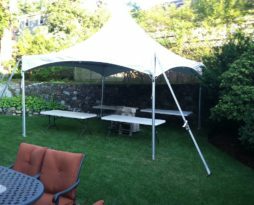 This tent rental package can be for 50 guests for a seated for a meal with this backyard tent package. Were not the cheapest around, but we use pristine high peak frame tents that are gorgeous. We do not cut short any safety precautions. This backyard party tent table and chair party package will be the foundation to hosting your northwest western Chicago graduation backyard home or business event. It comes with all the basics to get you started in hosting a sucessfull home party. This package is not customizeable, please defer to adding individual items on our site into your own package if youd like to change rental items needed. Rent a tent package for up to 100 guests! This tent rental package can be for 100 guests for a seated for a meal with this backyard tent package. Were not the cheapest around, but we use pristine high peak frame tents that are gorgeous. We do not cut short any safety precautions. This backyard party tent table and chair party package will be the foundation to hosting your northwest western Chicago graduation backyard home or business event. It comes with all the basics to get you started in hosting a sucessfull home party. This package is not customizeable, please defer to adding individual items on our site into your own package if youd like to change rental items needed. Rent a tent package for up to 130 guests! This tent rental package can be for 130 guests for a seated for a meal with this backyard tent package. Were not the cheapest around, but we use pristine high peak frame tents that are gorgeous. We do not cut short any safety precautions. This backyard party tent table and chair party package will be the foundation to hosting your northwest western Chicago graduation backyard home or business event. It comes with all the basics to get you started in hosting a sucessfull home party. This package is not customizeable, please defer to adding individual items on our site into your own package if youd like to change rental items needed. Rent a tent package for up to 150 guests! This tent rental package can be for 150 guests for a seated for a meal with this backyard tent package. 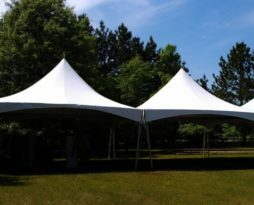 Were not the cheapest around, but we use pristine frame tents that are gorgeous. We do not cut short any safety precautions. This backyard party tent table and chair party package will be the foundation to hosting your northwest western Chicago graduation backyard home or business event. It comes with all the basics to get you started in hosting a sucessfull home party. This package is not customizeable, please defer to adding individual items on our site into your own package if youd like to change rental items needed. Rent a tent package for up to 200 guests! This tent rental package can be for 200 guests for a seated for a meal with this backyard tent package. 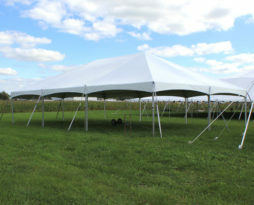 Were not the cheapest around, but we use pristine frame tents that are gorgeous. We do not cut short any safety precautions. This backyard party tent table and chair party package will be the foundation to hosting your northwest western Chicago graduation backyard home or business event. It comes with all the basics to get you started in hosting a sucessfull home party. This package is not customizeable, please defer to adding individual items on our site into your own package if youd like to change rental items needed.